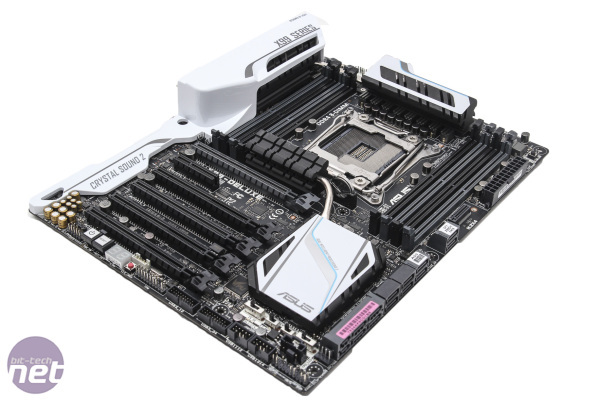 There's little doubt as to the X99 Deluxe's aesthetic credentials; this is one achingly good-looking motherboard, unless white isn't your colour of course, but it's also worth pointing out that Asus's flagship mainstream motherboard is not just a pretty face. 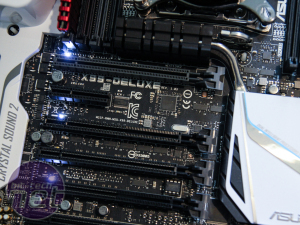 As we mentioned in our preview round-up, the X99 Deluxe is absolutely loaded with features. So much so that at face value, it certainly seems to live up to its rather lofty price tag. 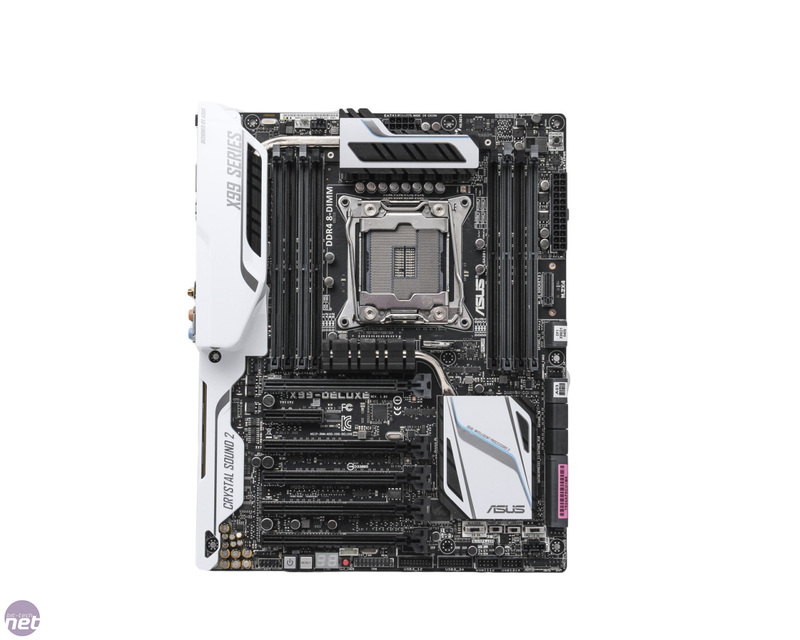 Of course, if you're just looking for a cheap way to own a six or eight-core Intel CPU, this probably isn't the best option - EVGA, Gigabyte and MSI all have cheaper models here. 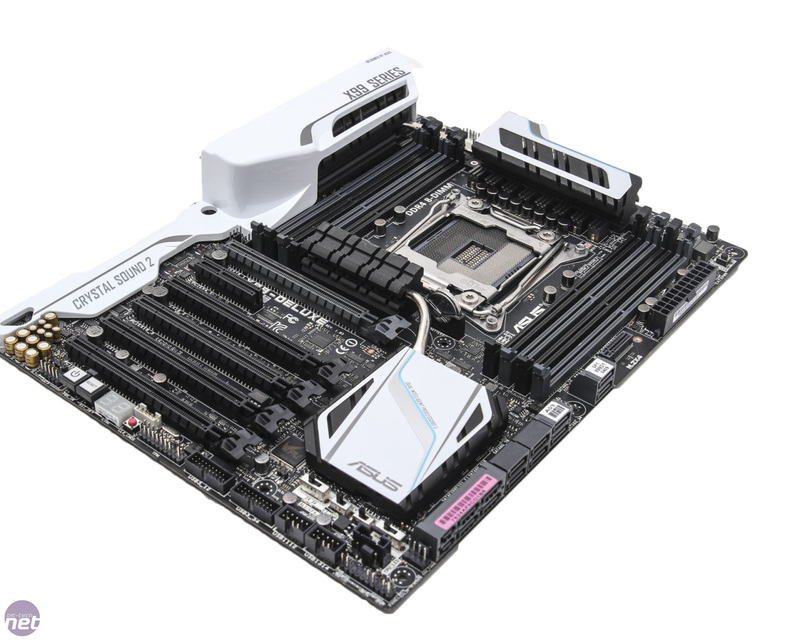 However, here's a quick rundown of the X99's extensive feature set, just in case you're having trouble working out why this non-ROG, non-TUF motherboard won't leave you with much change from £300. 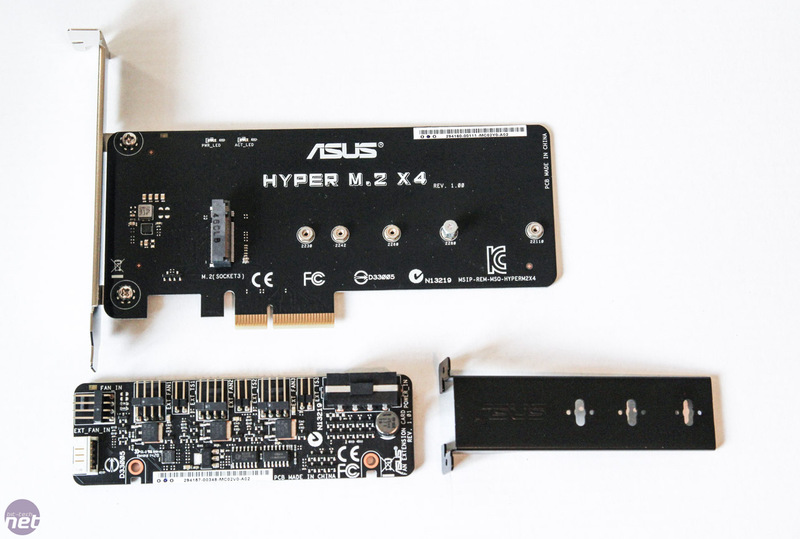 It has two M.2 ports, one via a riser on the motherboard and another using an included PCI-E adaptor with both supporting full-length SSDs. 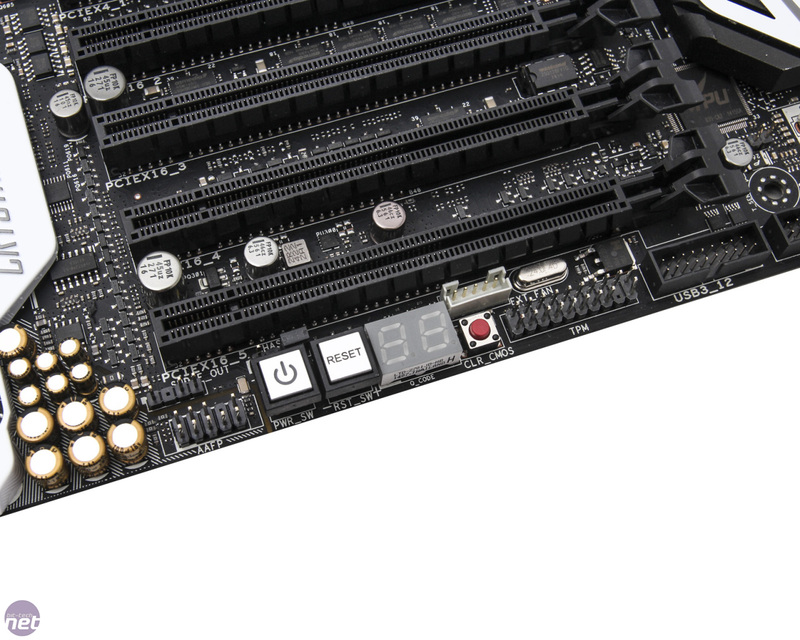 There are two SATA Express ports too, making this the best-featured board we've seen in terms of cutting-edge storage standards. These are paired with 12 SATA 6Gbps ports - 10 of these powered by the Intel chipset and there are even two USB 3 headers - we're pretty sure this is a first too. As far as other expansion options go, things are equally well-catered for. 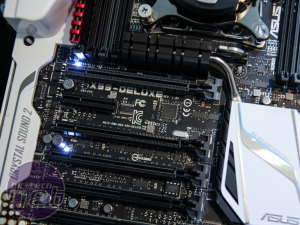 There are five 16x PCI-E slots, supporting a maximum of a x8/x8/x8/x8/x8 configuration. 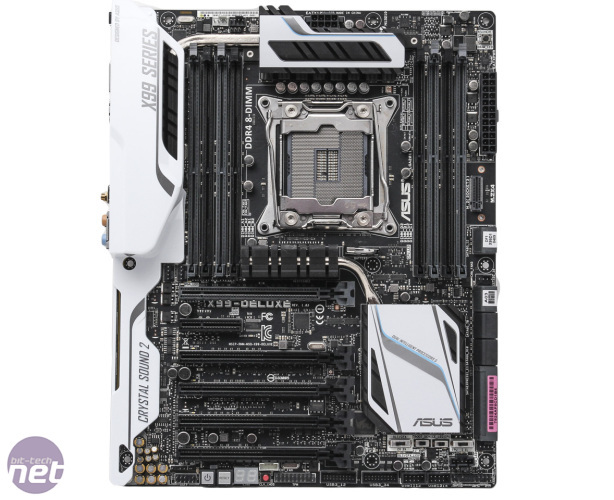 However, for the more likely two and three-way setups, Asus has clearly paid some attention to cooler scenarios as it has double-spaced the recommended slots for two and three card setups. 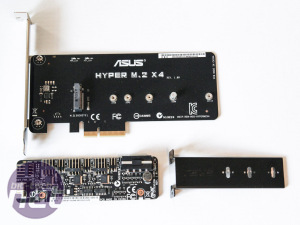 For example, if you have two graphics cards to install, you'll need to use slots one and three, giving several inches clearance for the top card's cooler. 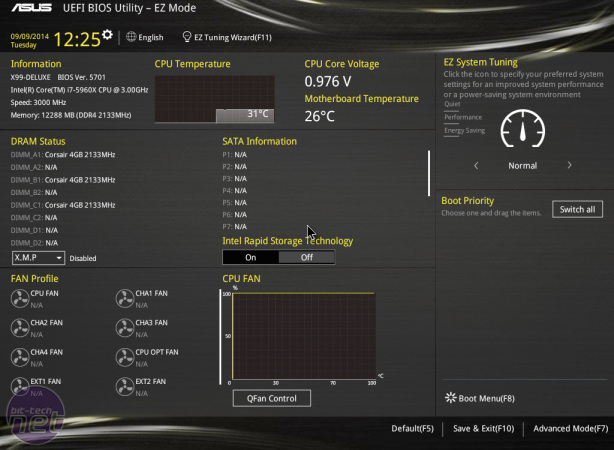 This is the same on the Gigabyte GA-X99-Gaming 5, although it only had four slots to start with, but both the EVGA X99 Micro and MSI X99S SLI Plus don't make for great homes for multiple air-cooled cards as the top two cards are sandwiched pretty close together. 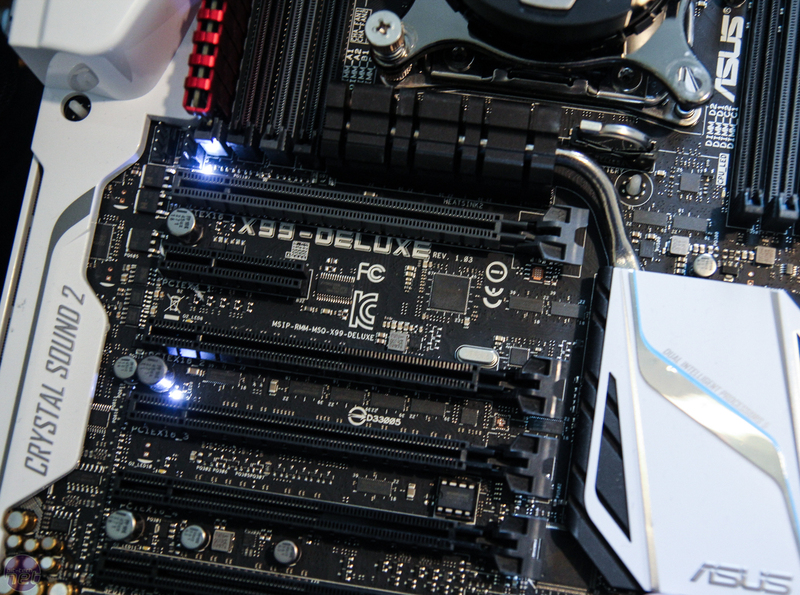 Speaking of cooling, an included Xtreme Upgrade Zone Fan Extension card allows you to boost the number of fan headers and thermal probes on offer as well as tying them in to the X99 Deluxe's fan control software. 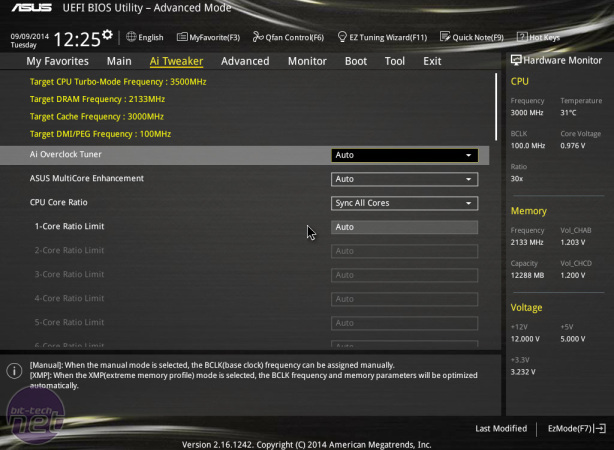 Overclocking tools are here in abundance with the full complement of power, reset and CMOS clear buttons plus an LED POST code display. 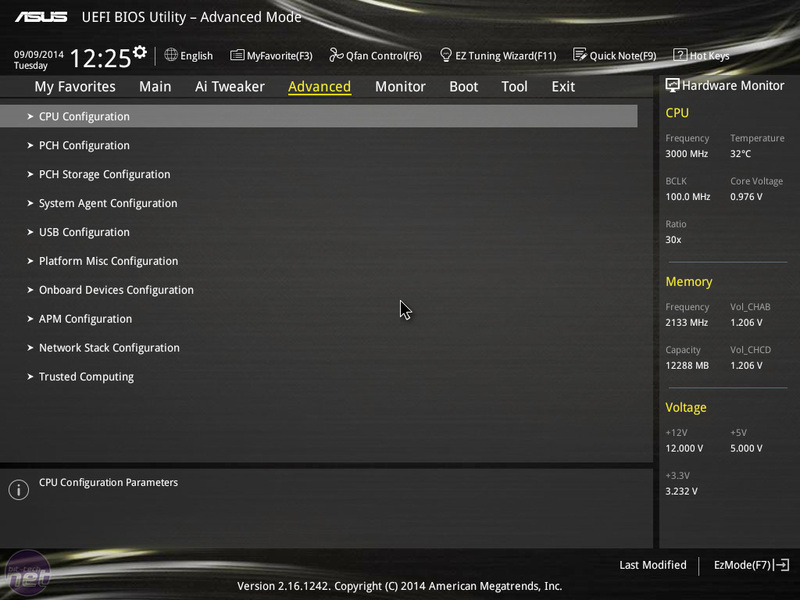 Something that we also found useful when dropping numerous graphics cards into the board is the SLI/CFX switch. This indicated the best slots to use for two and three-way setups by illuminating LEDs next to the slots. Idiot-proofing might well be adding to the price tag but it certainly saves time compared to trawling through the manual. 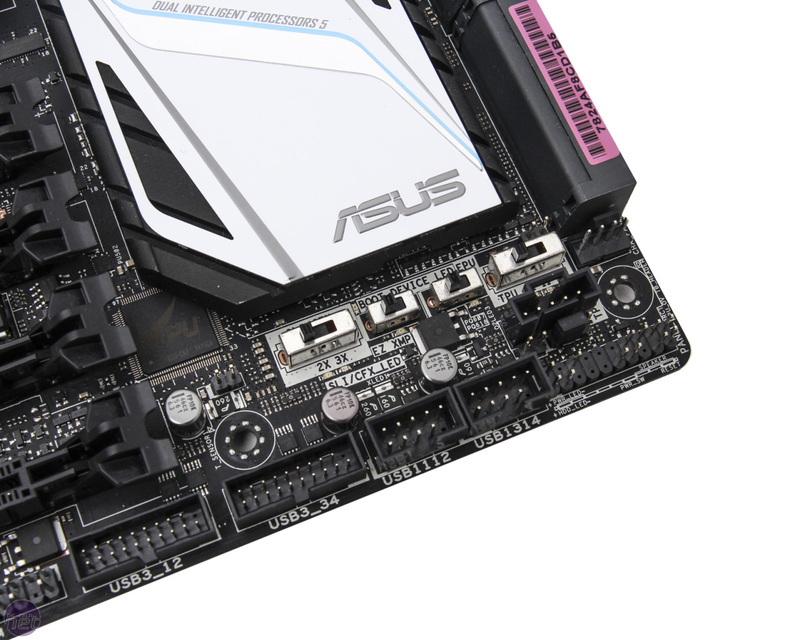 Asus is also somewhat unique when it comes to its CPU socket, which sports additional pins. 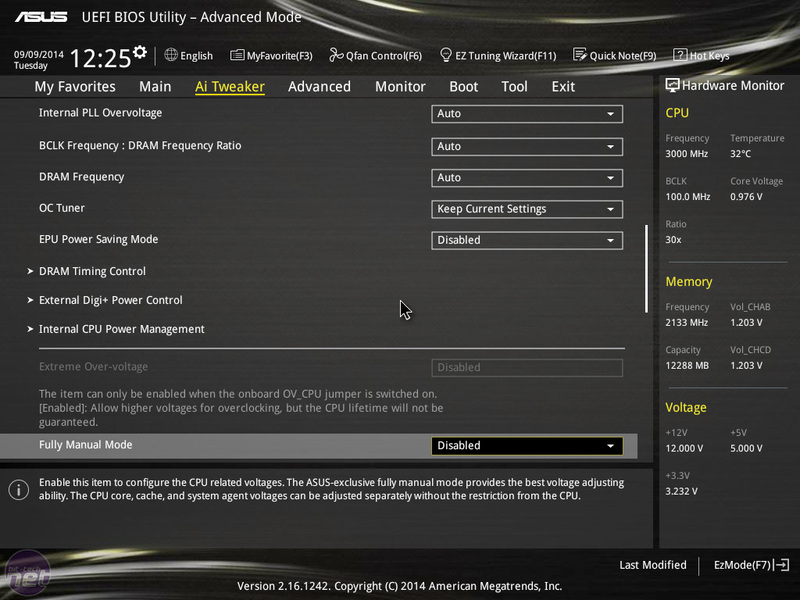 Through some nifty R&D, it has discovered that additional pads on Intel's Haswell-E CPUs offer access to additional voltages such as VCCIO and VCCSA and a higher vcore plus Asus also claims this allows for very low voltage droop and better memory overclocking. 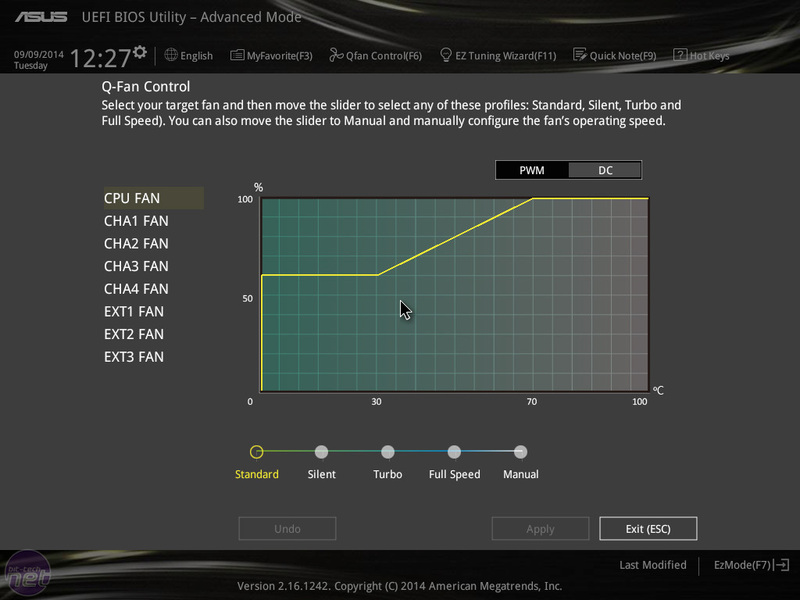 For the most part these are limited to extreme CPU and memory overclocking but could potentially become useful with high-end water cooling too. The PCB is decidedly busy, but despite large swathes being dedicated to the audio circuitry, PCI-E slots and overclocking/multi-GPU tools, the layout yielded no major issues. 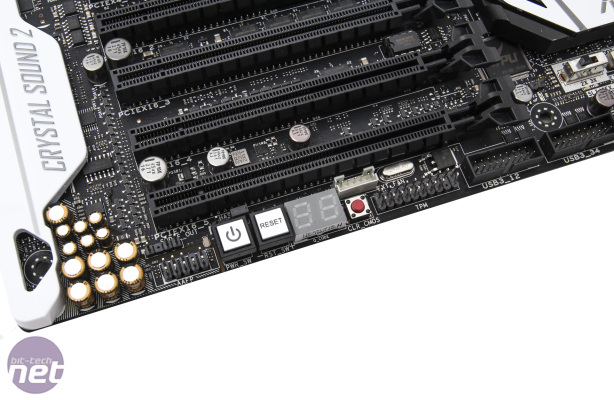 Even the M.2 port is accessible when you fill the PCI-E slots as it's located next to the DIMM slots and with all SATA/SATA Express ports being mounted parallel to the PCB, there are no issues with long graphics cards blocking any of the ports either. 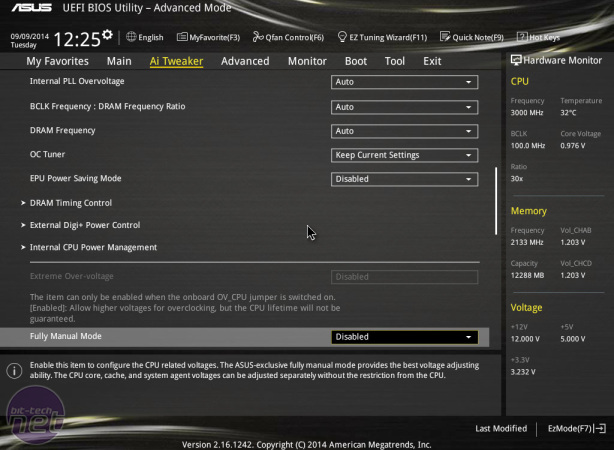 Our first sample that we used for our recent CPU reviews decided it wasn't up for more benchmark bashing, and combined with a new BIOS and new sample, we've re-run all our tests for this group test. Surprisingly, we couldn't quite reach the same 4.45GHz as we did with the original sample, but instead managed 4.25GHz using a vcore of 1.2875V and simply raising the multiplier to 34x with a 125MHz strap. 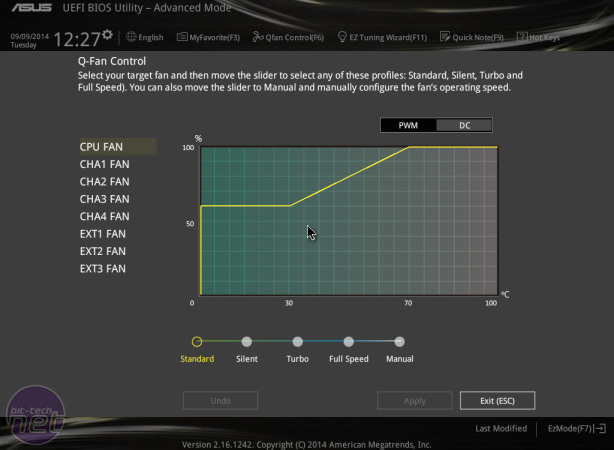 Here the thermals were reasonable, being 5-10°C below the TjMax so with more tuning time and water-cooling, you'll most likely do better than this. 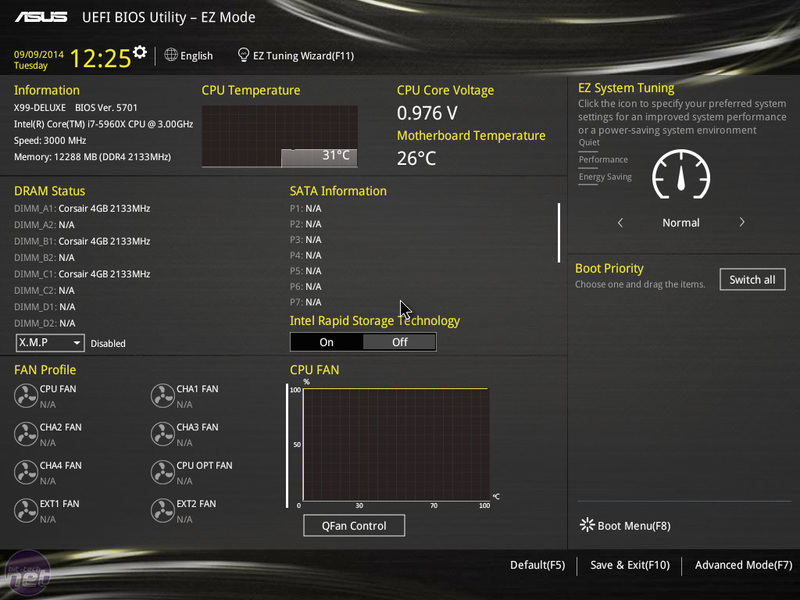 The X99 Deluxe was also the only board on test that needed significant fiddling out of the box to run the memory at 2,666MHz with all other settings at default; you'll need to set the strap to 125MHz or use the XMP profile and this lost the ability to tune down the CPU when idle, resulting in increased power consumption. 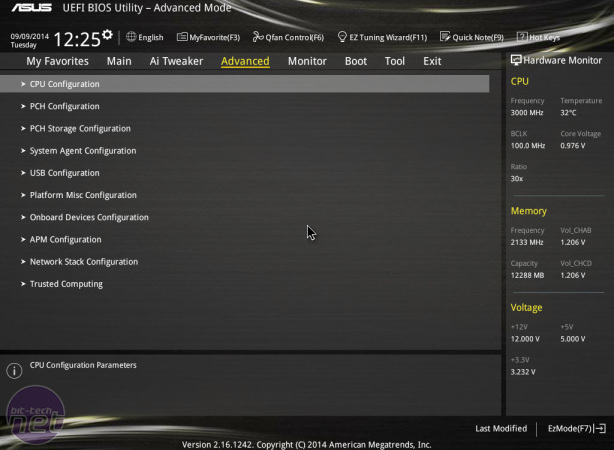 Still, it works, and if you use slower memory, this won't be an issue. 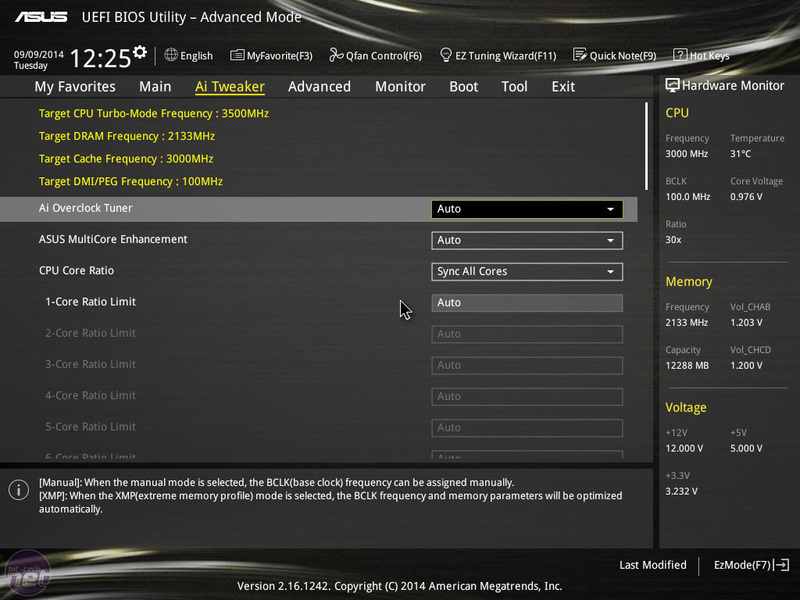 The EFI is up to Asus's usual polished standards with our only complaint being that it's not always easy to see the resulting CPU frequency following strap, baseclock or multiplier adjustments. 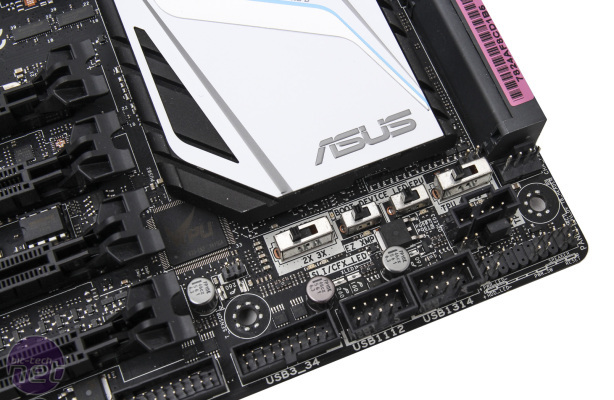 Apart from this, aside from the swathes of settings (you can always dump your most-used ones into the favourites section) the only things missing were features that Asus has decided to leave exclusive to ROG, in particular SSD secure erase. 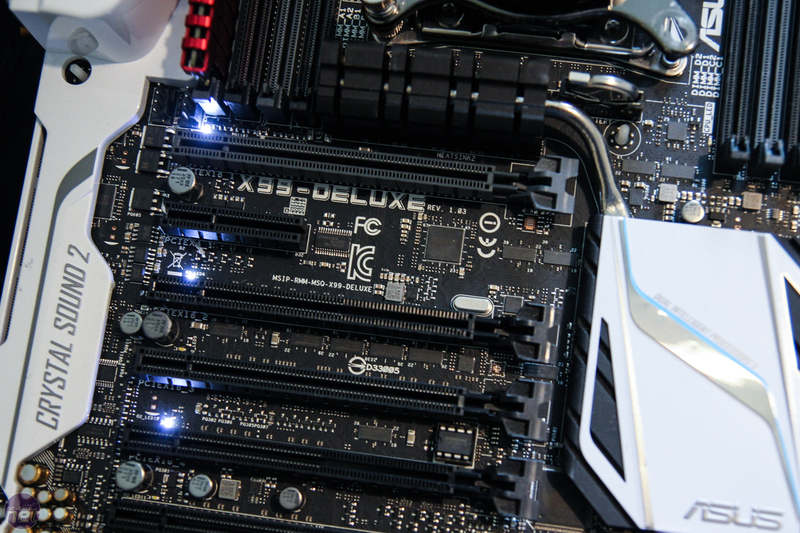 Given the X99 Deluxe includes pretty much every other feature known to man, there's a clear case to add things like this to the X99 Deluxe's arsenal given its price tag.